I was asked to put some basic code examples online to help developers get started with the Totem Bobbi Motion + ECG Monitor. 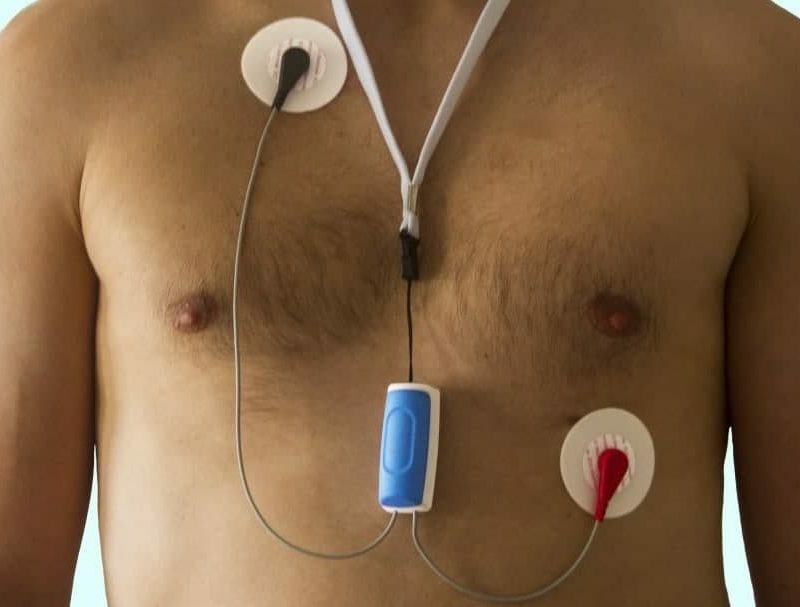 For those not in the know: “The Bobbi” is a very cool, *fully* open source ECG and 9-axis motion sensor with low energy bluetooth (BLE 4.0). It has a MicroSD card slot, and works with an AAA battery. 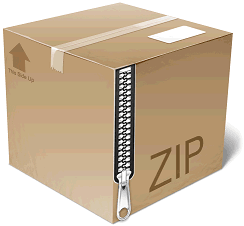 It can give you access to raw data (.csv or .txt files), and the hardware is 100% open source. In other words: you decide how to use it. On this page I will post some scripts and examples that should enable you to start developing quickly. All scripts make use of a basic Bobbi set of data files. An archive with the data and the scripts used in this post can be downloaded here – or via this GitHub repository. The resulting data is saved to …-sdata.csv files. 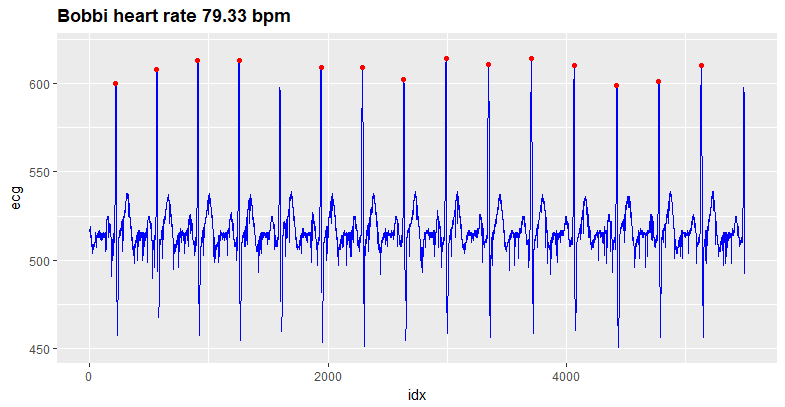 One little issue is that the data is sampled at 120 hz while the sdata reports the timing in milliseconds (ms). A future firmware patch will resolve this. Looks good! 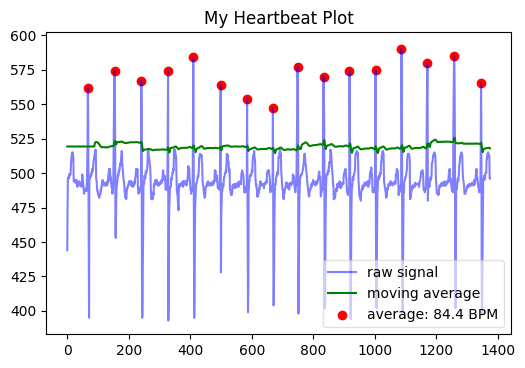 Lets see if we can follow Paul’s blog and run some first analyses using a slightly adapted version of heartrate.py – for the code, see here. # 4-level decomposition is used with the Daubechie d4 wavelet. 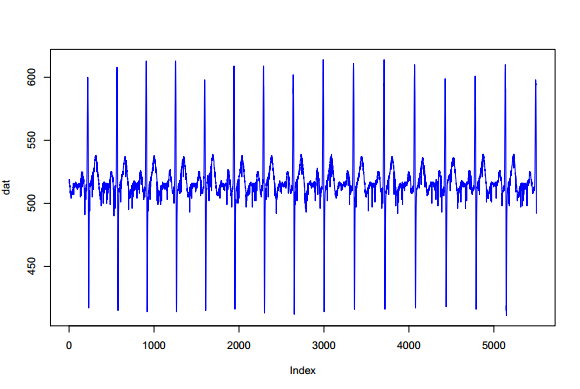 # Coefficients of the second level of decomposition are used for R peak detection. # While loop for sweeping the L2 coeffs for local maxima. # Clear all zero values from R vector. Python and R are cool – but there are those of us who would like to integrate Bobby with a mobile phone or tablet. In that case it makes more sense to start coding in Java – the programming language that is used in Android, at the time the dominant platform for developing and deploying mobile device apps. // now do some stuff! Let’s see what happens if we run this code! 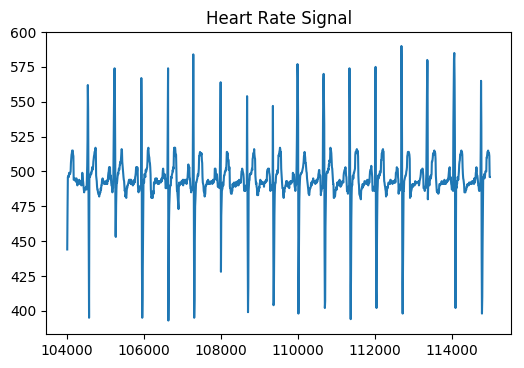 Yet another method, yet another heart rate! Of course, these are all basic examples – very curious as to all of the cool algorithms, code and apps the Bobbi community will be able to come up with! Thank you for using my code and referencing it! If possible, would you reference my github as well? Sure thing – I have just added the link to your GitHub Repository. Also, many thanks for making your code available! Thanks! These kinds of things are the reason I make it available. Love the work you’re doing with the bobbi! Keep an eye on the repo, I’m optimising the code to improve speed and adding some functionality this week, also dropping some dependencies and exposing an API later.